Camp staffing season is fully underway for great summer camps across the US. Each year, the competition for hiring summer employees gets more and more complicated and challenging. Savvy first time staffers are willing to compare and contrast camp job opportunities to find the one that best suits their personal wants. Experienced staff are willing to change camps as they collect experiences to meet their goals. Sometimes these can make it seem like there are fewer people interested in summer camp jobs based on direct contacts. However, that’s not the case…thanks to the wealth of information on the internet, staff are vetting camps much more thoroughly than ever before. With websites like CampStaff.com and CampStaffNurses.com job seekers can zero in on exactly what they are looking for and match that criteria with camps that are looking for staff exactly like them. In the early years of CampStaff (the late 90’s and early 2000’s), camps were just beginning to understand the importance of their websites. Staffing specific sections were almost always a side note. As a result staff primarily used CampStaff to request by email, more information from a potential camp. (We actually had to set a limit on the number of request emails a staff member could send at one time.) 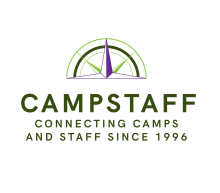 Fast forward to today, staff still use CampStaff to zero in on specific jobs, only now they almost always click the link to the camp’s website to explore more before sending their profile. The upside for camps is less wasted time on less interested staff; the downside is that in many cases the serious seekers are judging your camp before you get a chance to turn on your full staff recruiting sell. Have someone evaluate your staff section your website. If you can afford it, hire a summer camp staffing professional to consult and offer recommendation. If not, ask someone from outside your camp circle to walk through the hiring process and help you fill in any gaps in your information. Your goal should be to maximize the first impression a staff visitor has. Everything in your phone interview pitch should translate to the webpage. We know you already do this for your camp clients/families. If you are having trouble justifying the expense of upgrading your website for staffing, remind your board, camp owner or yourself that 1.Camp doesn’t open without staff and 2. Any time saved on staffing means more time to find cost and quality efficiencies for summer planning. You can read plenty of posts in our blog on upgrading your online social network. Here we are talking about your real world camp social network. Make your whole staff Assistant Staffing Directors. Your staff is diverse – geographically, culturally and socially – use this to make personal connections with job seekers. Before you freak out, we aren’t suggesting you give hiring authority to your whole staff. We are suggesting that you involve your staff in the recruiting process by having the opportunity to connect with job seekers from their school or home state or area of interest or even age group. Send everyone a prepared script covering the basics of camp, along with an evaluation form. This can save you serious time when the final interview is scheduled. First, we all know that personal connections are the number reason staff return to camp a second year; it only makes sense to give the opportunity to start these connections as early as possible. Secondly, keeping your returning staff involved and thinking positively about camp during the off season can help cement their commitment to return. It also lends the opportunity for your returning staff to take responsibility for the summer success of their interviewees. And third, what we learned form our initial CampStaff Experience podcast interviews is that staff questions and concerns vary greatly. In episode Elyse, we learned that Elyse from rural Louisiana needed reassurances from someone in her area who had already worked at camp before she could fully commit. As recently as Jan 8, 2019 CNBC once again put the spotlight on the J-1 visa program as a potential victim of immigration politics. Our Google alert set for “J-1 visas” yields several articles each week on seasonal industries across the country voicing concerns for the program. Everyone from coastal vacation destinations to mountain resorts are feeling the pressure. We believe that international staff are a major part of the total camp experience. Many of our favorite camp directors began their camp careers as J-1 visa participants. If you haven’t voiced your support of the J-1 program to your congressional representatives – especially anyone with new Congressman/Congresswoman or a new Senator. Please do so! Hire more diverse international staff. Hire the same number of international staff as you have in the past if the cultural exchange component is an important part of your camp’s identity, just spread the jobs out to more areas. Let say you normally hire 10 Camp Counselor J-1 participants. Rather than have 5 of those employees at swimming and 5 at tennis, spread the jobs out over several areas. That way if the J-1 programs hit with any political fire, your programs are short staffed, not so understaffed they must be shut-down. CampStaff.com had over 36,000 unique visitors last year with a less than 10% bounce rate. 28,000 of those visitors came between Jan 15 and May 15. Summer camp jobs are the only thing that CampStaff does so this means people ARE interested in summer camp jobs and NOW is the time to start hiring them. Not every camp fully utilizes CampStaff. Some camps are extremely efficient, taking full advantage features like customized email replies, writing and frequently updating thorough descriptions and highly targeted staff searches for one-on-one recruiting. A quick browse through listed camps will give you an idea of what can be accomplished. Refine your CampStaff skills. Every camp staffs differently. Take time to go through the CampStaff tutorials and see which features work for you. Over the years, the one of the most effective methods has been targeting individual position needs. For example, make this week basketball week. Search for staff with basketball skills that meet your criteria and reach out individually. Everyone wants to feel wanted and to being recruited by a camp pro makes it even more powerful. Remember that new staff register or update their profiles everyday. Keep checking back for your targeted needs. Refine your CampStaff descriptions. CampStaff allows staff to browse short descriptions of camps before committing to registering. About 25% of staff visitors to the site, will browse these listing. Make yours count! You never know, someone browsing may make a connection with your content (especially descriptions listing specific job openings) and come directly to you, bypassing the whole CampStaff process and giving you the exclusive chance to recruit and hire them! As you needs change over the staffing season, change your description.